Mirasol Senior Living Community is a northern Colorado independent living community designed for seniors 55 and older. Located at the foot of the Rocky Mountains in Loveland, Colorado, Mirasol offers a wide range of affordable housing options, services and amenities, as well access to nearby medical services, cultural and recreational opportunities, shopping and much more. 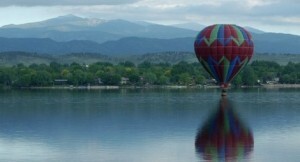 Loveland is consistently ranked as one of the best places to retire in the United States. Our residents live in a moderate, sunny climate, yet can easily access everything northern Colorado has to offer, including nearby Rocky Mountain National Park, top-notch medical facilities such as McKee Medical Center, cultural events such as Loveland’s sculpture and art show – one of the best in the country – shopping, sporting and more. Mirasol Senior Living Community is overseen by the Housing Authority of the City of Loveland, a nonprofit formed in 1971 to enhance housing options for moderate and low-income individuals. Mirasol offers excellent options to match many seniors’ needs: apartments, paired homes, single-family homes, and even undeveloped lots.